In the weeks leading to Toyfair 2018, there was a lot of speculation about what would happen at the end of the Prime Wars trilogy, along with when it would end. The details are crystal clear now, as given by John Warden. Power of the Prime and the Prime Wars Trilogy itself ends in 2018, but in Januray 2019 (exactly one year after the official release date of Power of the Primes), a new Trilogy in the Generations line will begin, called War for Cybertron. Here is all we know from John Warden regarding this new Generations line. 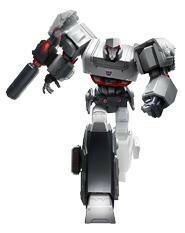 War for Cybertron line may include some previous molds, but intention is to give good representation of the characters. A lot of families in fan community, it’s exciting to bring them to the brand and share with kids, nieces, nephews. That doesn’t detract from Generations, War for Cybertron appealing more to the older fans and collectors. Power of the Primes ends in 2018. War for Cybertron starting in January 2019, no reveal of the new fiction yet so plenty of speculation welcome. Trilogy invites to speculate, not lead to an ecosystem – it’s a storytelling universe, as per Hasbro blueprint. Next chapter will be approached with fan feedback in mind – though cannot reveal yet. War for Cybertron is a new take on things, moving a little further away from the callbacks and throwbacks in POTP too, though story can feel a little more familiar. So, any previous rumour of "evergreen" designs taking over generations, or Cyberverse, have been 100% debunked. It will be business as usual with the Generations line right down to the use of tooling and designs from previous lines. These will still be toys aimed at older kids and collectors and be centered around G1 characters. The fact that it may sound limited to non earth based alt modes does not really detract from anything when we currently have very few strictly earth based vehicles in this year's Generations line. As a further example that any character is still up for grabs, the main cast of More tha Meets the Eye had non earth designs, so the setting of this new chapter does not hinder to who we could get. 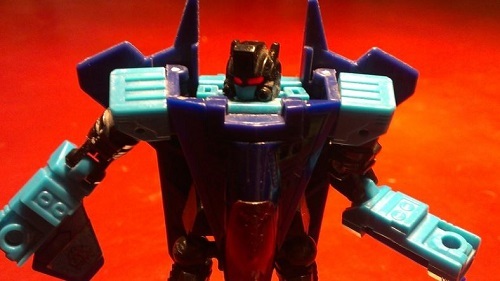 John Warden had also said that combiner and headmaster toy technology could resurface (as we saw with Power of the Primes) so any G1 character you did not get yet has a chance of coming, including combiners you did not get yet. At this point, everything is back on the table with three more lines to fill with toys. As John Warden has invited this fanbase to do, speculate away! Will megatron be turning into a tank again? Might just be me buy aside from the more G1ish fusion cannon it seems to look like his old war for Cybertron toy. william-james88 wrote: and be centered around G1 characters. Which is somewhat a bit sad. During a previous interview Warden said the line need renewal and to be refreshed, I really had big hopes for new characters, a bit like we got during Unicron Trilogy, or even like the RiD ones, but with more generation-like engeenering than the over simplified toys kids currently have. And you say it'll be 84 all over again.. I'm already tired. Chatting to Emiliano Santalucia, it looks like this may very well be the case. He obviously did not and cannot confirm what is what and to which line it belongs. But, if anything, he confirmed that it is indeed one of his sketches. Is Dawn of Future's Past a War for Cybertron? Well of creativity from Hasbro ? or acceptance factor from the average Tfan ? When I see debates about Potp prime fists being gray instead of blue.. I somewhat understand why hasbro continues to play secure. I regret Rid2000/unicron Trilogy, period where Tfans where enthusiast to see indirect hommage to old characters through deco etc. We were able to read things "Cybertron Hotshot is a nice hommage to Hotrod", "Snarl's chest is a cool hommage to BM silverboilt" etc. Who said "the worst punishment is to give men what they desire the most" ? because it's how I feel the generation line currently. Hasbro gives fandom exactly what they wanted for years, and fans are not happy. and less and less happy in fact. It was absolutely not directed towards you, sorry if you took it like this. It's a generic rant directed to all who'll recognize themselves. ExciKaiser wrote: It was absolutely not directed towards you, sorry if you took it like this. I'm not sure to agree. I've not been a fan of T30 and previous generation lines, at least on engeenering level. We got very poor engineering back in this time (do you want to discuss T30 bumblebee, Whirl, blitzwing...) wqith robot and vehicule mode not holding together, fiddly panels which never align and lock in place etc. I saw lot of improvments with Warden. Tfs are fun to transform again. Just need to unfocus from 84'. For me the greatness stopped somewhere during universe, approx during the FoC thing, and came back with a bit CW and TR. Potp is a mixed bag, some great toys and some "why again?" (Starscrean, Inferno..), "why this cartoon slavery ?" (Orion, Windcharger..). Last edited by ExciKaiser on Mon Feb 19, 2018 7:27 am, edited 2 times in total. Still wish Hasbro had thought up a different, all new name for this line. Sabrblade wrote: Still wish Hasbro had thought up a different, all new name for this line. Yeah, even a simple variation like "War of Cybertron" would have been preferable. This is "Robots in Disguise" all over again. I'm fine with them going back to an '84 lineup just as long as it's Cybertronian forms and not another set of cars. Finish out the Headmasters and Autobot Targetmasters while we're at it. Guys, I said G1, not 84. In fact, I dont think it will be 84, simply because we already have many o those guys and the later G1 toys work much more with the cybertron aesthetic. There is loads of opportnuity for fresh takes with this line, the only thing making it G1 is the story backdrop which deals with the war (which is a time where we had G1 characters). Well, we dont know what the line will be called, just the trilogy. Its not like the name of the previous trilogy was linked to a specific toyline. We dont call Titans Return Astrotrain as Prime Wars Astrotrain, so at least it shouldnt be too bad. I think the issue is that the original bots still sell (for now). The current design and marketing team knows this. There are just certain characters you must have to keep the toys selling. I always thought some of those certain characters are the Dinobots, so that we might be able to get some voyager sized versions somewhere down the line. Now that we have a version in generations, there isn't a rush to get them all out at a certain time. As for other characters I guarantee we will be seeing eventually, look at the fan vote. Finishing off the Decepticon double Targetmasters is definitely in this 3 year plan. Spinister and Needlenose are part of the fan vote. Then you've got Impactor, Mirage, Wheeljack, and Tracks. Warden and team definitely want to give us good generations representations of all the G1-ish characters. So we need to start thinking a little differently. We need to think, how is the creative team going to use the easy selling figures to retool, partial tool, and re-engineer into the more obscure characters that we are clamoring for. Especially since the are more than likely going with Cybertronian style alt-modes. 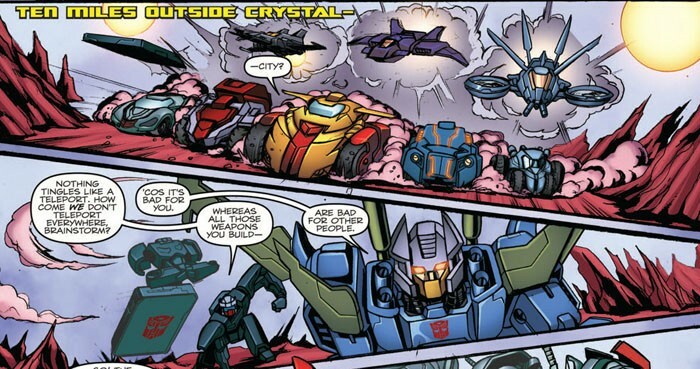 Mirage - I could see a Cybertronian Mirage equating to Sureshot. F1 style Race Car to a Buggy that looks almost exactly like an F1 race care, yeah that can easily happen. Wheeljack - Cybertronian Wheeljack was a boxy transport thing, with some creative liberties, I can so him turning into Crosshairs (also a boxy transport thing). Tracks - You can see where I am going with this. Sports car, guess what Pointblank is... a Cybertronian Sports car. Remember, this is only speculation, but for those of us wanting these characters to be realized in G1, it's a tough sell to Upper Management I am sure to say "hey we've got these great ideas for the 1987-1989 characters". It's a higher risk to sell "new" characters, especially when the primary characters, who we know and love/hate, are what sells. So, I think we should start a list of possible characters (the ones who have yet to have the Generations treatment since T30) who could be potential figures for this new trilogy, and how. Obviously they aren't all going to come to fruition, but it will be neat to discuss. Oh, and what in the heck will the Master class become? The other half of that, is that, now, we need to discuss if Generations sublines will now be a yearly subline instead of 18 months. If so that changes things, as it would dictate how many characters we can get in each class. The Masters could be more Titan Master doing all the Headmaster Warriors and Unused headmasters they haven't done yet. Another thing to consider, John Warden did say he wants us to speculate on what's to come. The design team probably wants to know what characters fandom really wants to see. So maybe if we continue "speculating" about certain characters (Seacons, Monstructor, Apeface, Snapdragon, etc) they will come to pass. I really want to see Bumblebee and Hot Shot have a brother like bond, along with a Optimus interacting with other supreme commanders like Star Saber and Dai Atlas. mordhelm wrote: I think the issue is that the original bots still sell (for now). The current design and marketing team knows this. John Warden did say once that they want to have a big Optimus per line. Not sure if it was his decision or a mandate from Hasbro (or both). So I definitely expect to keep seeing at least Optimus for each part of this new trilogy. Also, if you rad the quotes in the first post, John Warden says that the upcoming lines wont necessarily have an ecosystem. So there probably wont be a maser class. mordhelm wrote: Another thing to consider, John Warden did say he wants us to speculate on what's to come. The design team probably wants to know what characters fandom really wants to see. So maybe if we continue "speculating" about certain characters (Seacons, Monstructor, Apeface, Snapdragon, etc) they will come to pass. Yup, this seems to be an open letter to us fans. With IDW finally rolling out Unicron as the main big-bad for the forseeable future, I kind of expected the next trilogy to be based on Armada/Energon/Cybertron. That doesn't necessarily seem mutually exclusive with Cybertronian designs and G1 characters - especially considering how many staple G1 characters like Optimus, Megatron, Starscream, etc. were in the Unicron Trilogy. Minicons and Micromasters could be collapsed together as one concept and sold at the $5 price point. A lot of larger characters could be double homages; for example, I could imagine the Starscream looking like a hybrid between the G1 tetra-jet, War for Cybertron seeker, and his form in Cybertron/Galaxy Force. Jetfire might treads a line between his Energon form and some iteration from War Within. Scorponok could end up being our Titan Class figure a couple years down the line, with a design that blurrs his G1 and Energon aesthetics. Omega Supreme would be another good choice, blending his WFC video game design and his Energon form. And of course, Tidal Wave would be a pretty epic Titan Class figure. And then when you consider the practice of creating pre-tools (e.g., TR Sentinel Prime and Astrotrain) there's a lot of other potential, too. Each design may have a G1 and a Unicron Trilogy character planned for it. There might even be some Beast Machines stuff in there too. I mean, all of the Vehicons had Cybertronian alternate modes, and even though I imagine we won't see anything 'furry', I doubt we'll go that long without some beast modes. There are G1 characters like Catilla that could be pretooled as Transmetal Beast Wars characters, which would look just as Cybertronian as Ravage ever has. Heck, one mold gets you Catilla, Cheetor/Tigatron/Ravage, and even one of Armada Unicron's horsemen.